The average American watches four hours of television per day. Within that time, there are approximately 64 minutes of commercials. That’s over an hour of your day essentially wasted. What if you instead utilized this time to be more active? More than one-third of American adults are obese. These are likely the same individuals spending long periods of time in front of the television. It is proven that even if a person is active, if they also sit for long periods of time regularly, they are putting themselves at risk for health issues. In one study, it was found that sedentary behavior causes less fat to be dissolved in the blood stream, thus potentially leading to diabetes and even cardiac arrest. 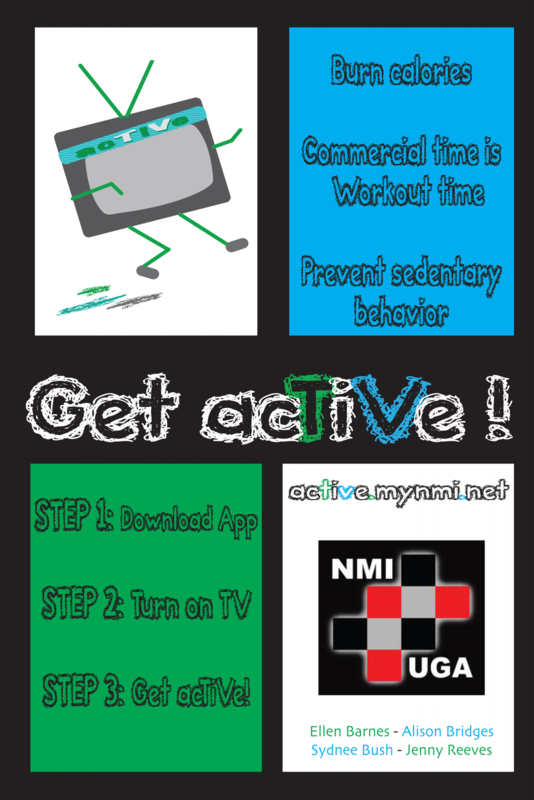 The three main times in which people are sedentary are while commuting, sitting in front of a computer, and while watching television. It is recommended to move every 20 minutes to be healthy. Our app acTiVe encourages just that. With its use, you are provided with custom workouts that are catered to each commercial break’s time length. They will include cardio, arms, legs, core, and buttocks. First, you pick your show. Then the app uses its database to determine how many commercials that particular show has as well as the length of each commercial in order to give you a custom workout. From there, it’s up to you to move. Our goal is to target the television-watching audience, encouraging them to move during times that would otherwise be spent sedentarily, thus utilizing their time instead of wasting it.